Daiki is a 19-year-old shop staff who we often see and feature on our Harajuku street snaps. 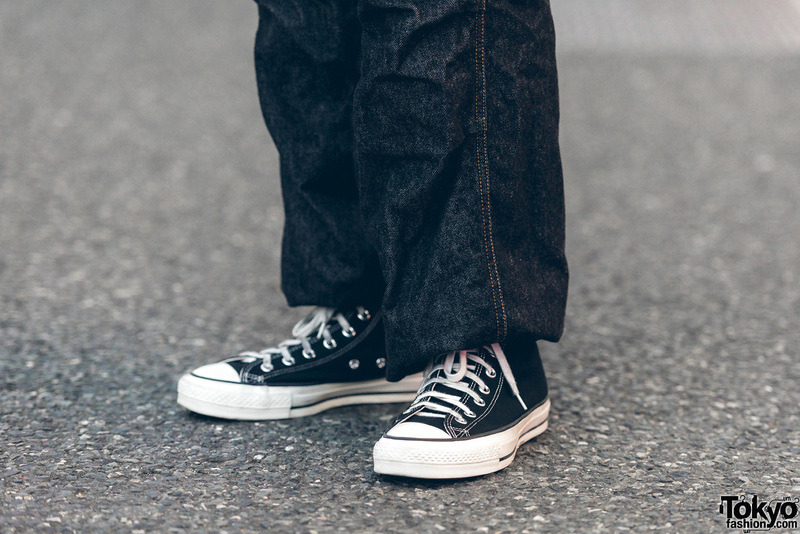 Today, Daiki’s streetwear style consists of a Caveat Emptor (C.E.) sweatshirt under a Thrasher vest, black denim cargo pants from Polo Ralph Lauren and black Converse hi-top sneakers. 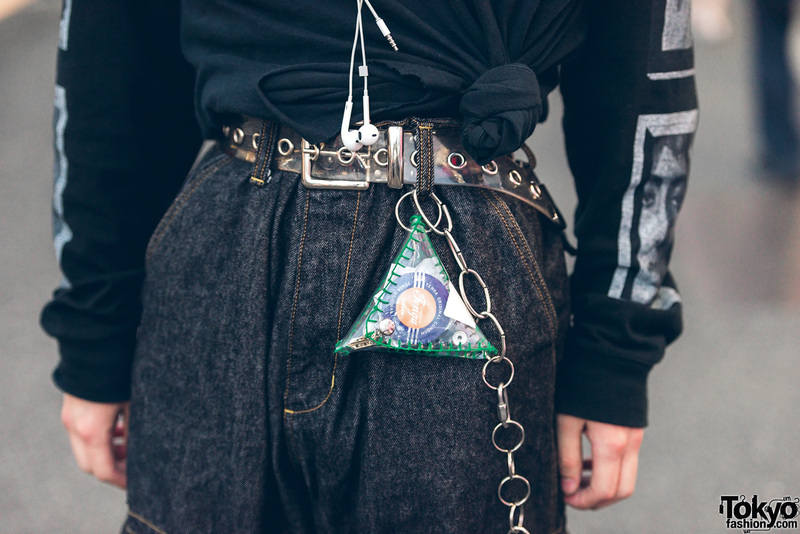 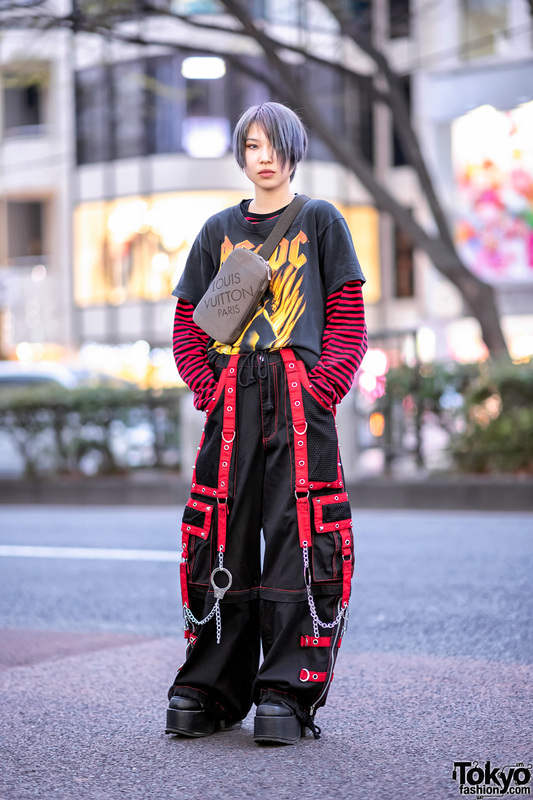 His accessories – some from Yuma Shimazaki – include gauged earrings, a transparent belt, a keychain purse, and a silver chain. 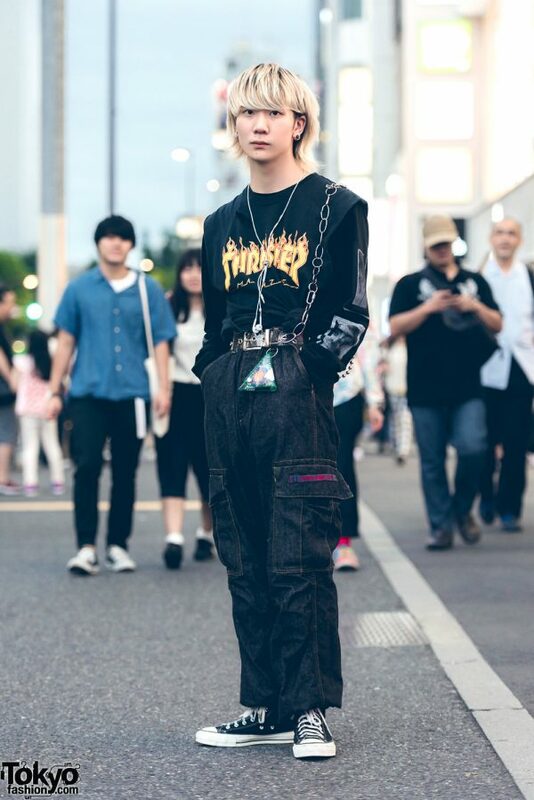 His favorite brand is Y-3 by Yohji Yamamoto and he listens to all kinds of music. 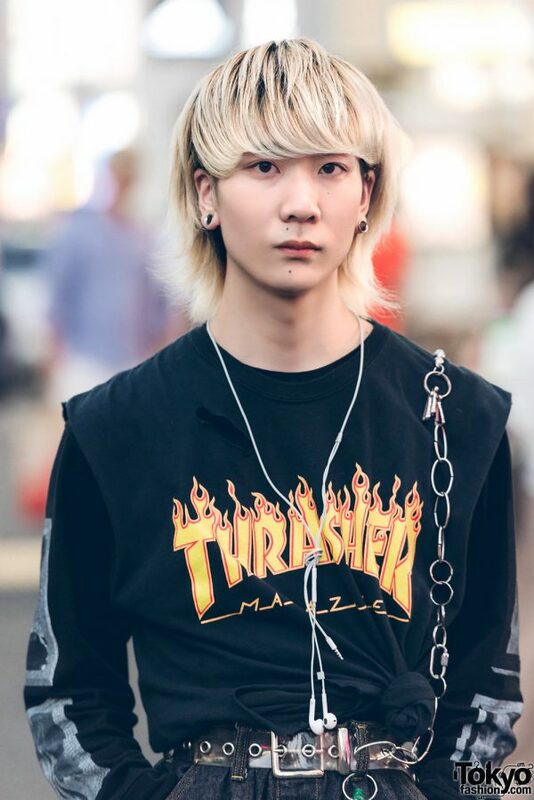 Follow Daiki on Instagram.